A Washington man attempted to flee police by running into the ocean, seemingly oblivious of a shark in the vicinity. He was caught three hours later, after the chase turned into a rescue operation. On the afternoon of Aug. 30 in Surf City, North Carolina, police officers stopped a car driven by Zachary Kingsbury, 20, of Linwood, Washington. They noticed an unspecified contraband inside the car and asked Kingsbury to step out. While interviewing him, Kingsbury fled towards the nearby beach, jumped into the ocean and swam towards the horizon. Police dispatched a drone to follow Kingsbury. 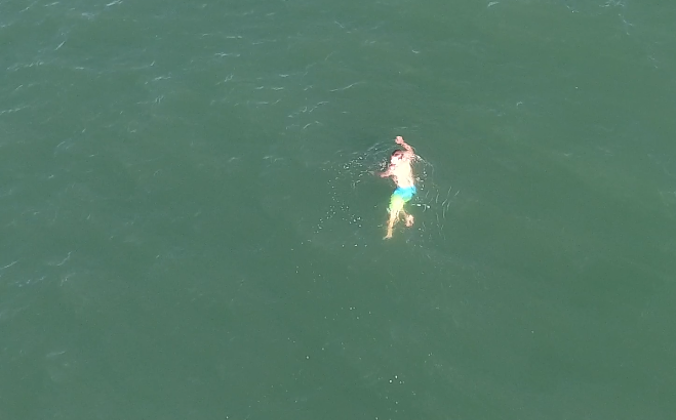 At one point, the drone’s camera caught a glimpse of a shark swimming some 25 yards from the man. After an hour, Kingsbury was already over 4000 feet offshore and the police had to bring the drone back. Multiple police, fire, EMS, and Coast Guard units cooperated in finding Kingsbury as the chase turned into a rescue. He was finally caught three hours later in North Topsail Beach, over two miles from where he entered the ocean. He was then transported to the Pender County Jail. 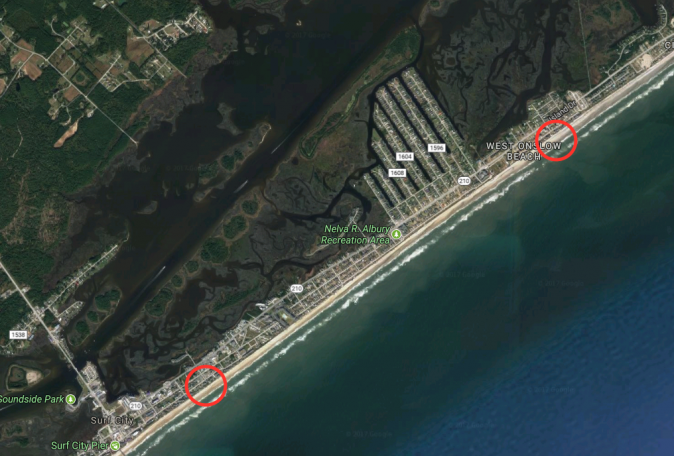 “While this incident quickly transformed many times, all of the first responders worked well together and brought the incident to a quick close,” the Surf City Police Department stated in a release. The department also released the drone footage. 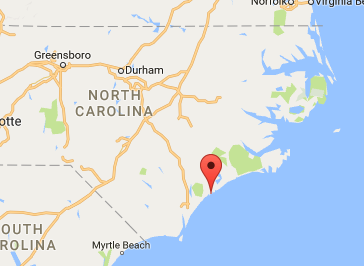 Sharks are known to frequent the waters along the North Carolina shore. They attack two to three people a year in North Carolina, with the exception of 2015 when eight people were attacked. There hasn’t been a fatal attack since 2001. Country-wide, there were 56 confirmed shark attacks on people last year, according to the Shark Research Institute data. None of the attacks was fatal.